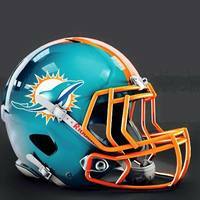 Miami Dolphins forum! Talk about YOUR favorite team with other Fin fans! This is where you hang out and talk about anything you want. Keep it clean, and keep it fun. No politics. No religion. If it is a sport and it is in the sunshine state it is here. Except the Dolphins of course. College, Pro, Baseball, Basketball, Hockey, and Football. Doesn't matter which team, or what it is. If it isn't Miami Dolphin related it goes here. Come talk about your favorite college football team in this forum. All conferences are welcome! The Kingdom where idiots and trolls are banished to. Seriously...we don't put up with it. You post it, we move it here and you get banned. It's your site. We want it to be good as it can be. So if it's not working right, or you have an idea to improve us this is where you go! Discussion related to the NFL Draft. Are you the next Mel Kiper? Let us know how you feel it will all shake out come draft day. There are currently 37 users online. 1 members and 36 guests. Most users ever online was 246 at 10:48 AM on 11-13-2018. Welcome to our newest member, Konstgaign.